The Lovely Bones meets Black Swan in this haunting psychological thriller with twists and turns that will make you question everything you think you know.It’s too late for you. You’re dead. Those words continue to haunt Claire Cain months after she barely survived a brutal beating in Chicago. 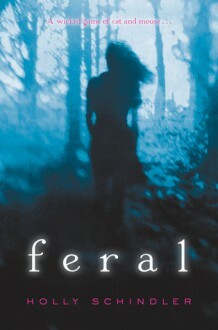 So when her father is offered a job in another state, Claire is hopeful that getting out will offer her a way to start anew.But when she arrives in Peculiar, Missouri, Claire feels an overwhelming sense of danger, and her fears are confirmed when she discovers the body of a popular high school student in the icy woods behind the school, surrounded by the town’s feral cats. While everyone is quick to say it was an accident, Claire knows there’s more to it, and vows to learn the truth about what happened. But the closer she gets to uncovering the mystery, the closer she also gets to realizing a frightening reality about herself and the damage she truly sustained in that Chicago alley….Holly Schindler’s gripping story is filled with heart-stopping twists and turns that will keep readers guessing until the very last page. http://moonlightlibrary.booklikes.com Nemo @ The Moonlight Library 5.0 Got a bit weird in the middle, but otherwise heartbreakingly exquisite. text Got a bit weird in the middle, but otherwise heartbreakingly exquisite.